MOSQUITO-BORNE DISEASES ON THE UPTICK! 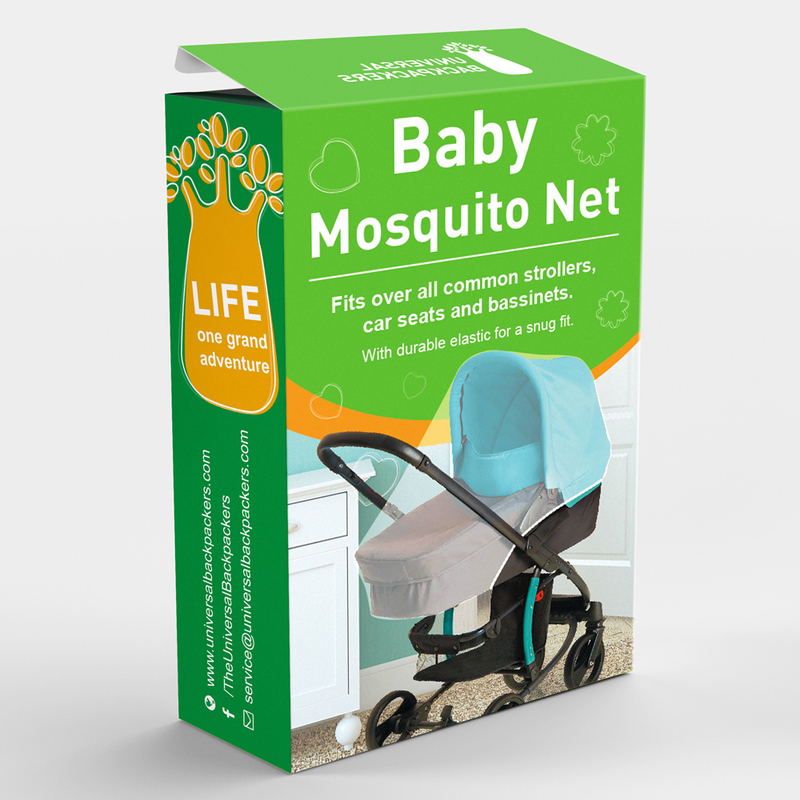 Use our mosquito net to prevent your baby from being infected by dangerous mosquito viruses. EXTRA STRONG NETTING & SNUG FIT ELASTIC! 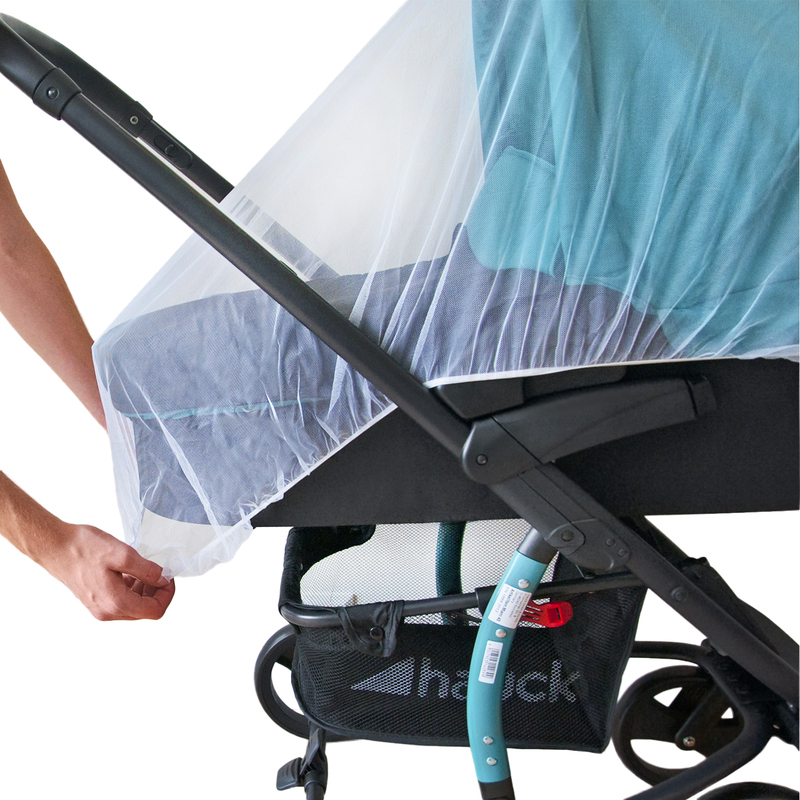 Fits tightly around most common devices for babies. Perfect size: 43 x 51 inches and 256 holes/sq. inch. 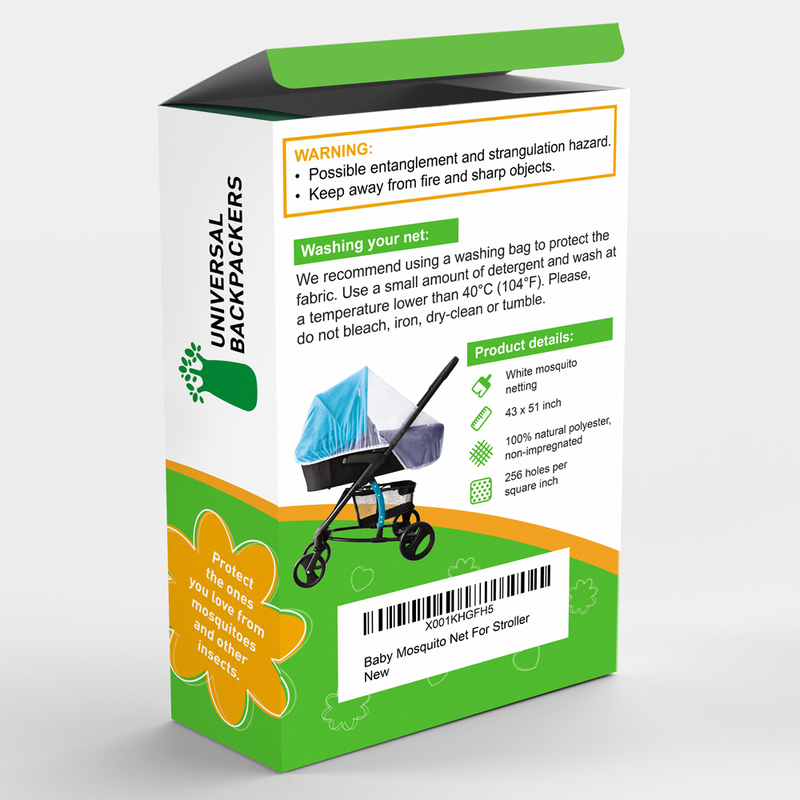 NATURAL & SAFE PROTECTION FOR KIDS! 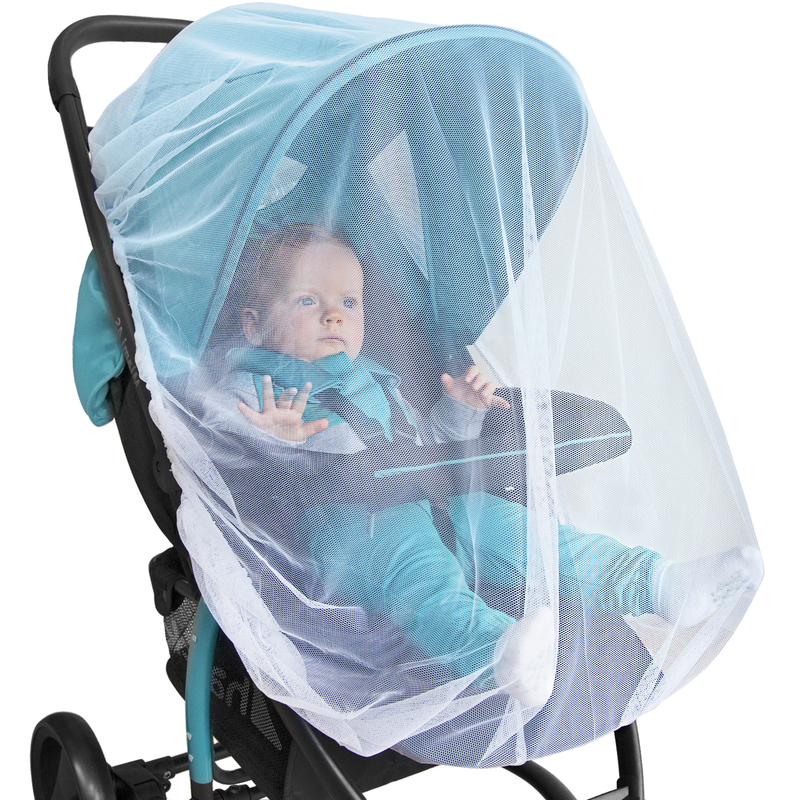 Anti-bug screen for outdoor travel & indoor use. Chemical-free repellent material and excellent breathability. BEAUTIFUL GIFT PACKAGING! The best gift for a newborn. A durable solution for boys and girls to control pesky insects. ORDER NOW, WORRY FREE! We offer a ‘better than money back’ guarantee: if there is an issue with your product for any reason, we will refund you and send you a new one. 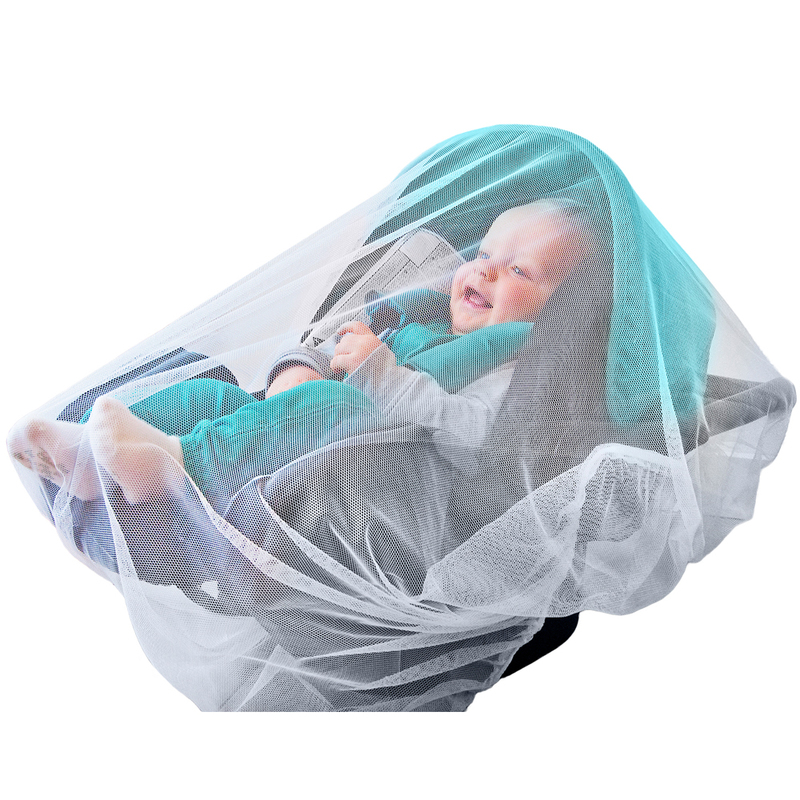 Click here and order your Universal Backpackers baby mosquito net!